Skylark Blog: 5 Worst Divorce Mistakes - MISTAKE #3: "Our friends should know my side of the story!" 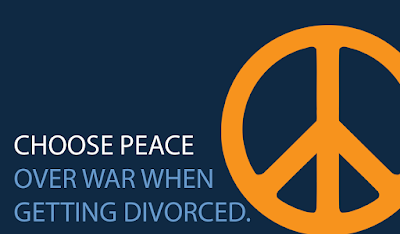 5 Worst Divorce Mistakes - MISTAKE #3: "Our friends should know my side of the story!" Although I always encourage my clients to confide in and find support in close family members or family, I also warn them against the danger of sharing too much. The dangers of sharing your private information on sites like Facebook and Twitter have been discussed on our blog before and have made recent news as well. But this is just the latest way to share too much. While it is important to have a support system when going through a divorce, talking to anyone who will listen usually results in your personal information making it back to your spouse, or even into court. Mutual friends can inadvertently disclose important strategies while trying not to take sides. And helpful friends explaining what their sister's best friend's brother's divorce was like can provide poor and unreliable information. If you have concerns make sure you discuss them with your attorney first and only discuss your case with your closest confidants. In addition, make sure you consider how your case is different than anyone else's and discuss any specific facts that concern you with your counsel. Click here to view Mistake #2.